Live streaming coverage of WBC Heavyweight World Champion Deontay Wilder’s press conference today, Tuesday, March 19 from Barclays Center in Brooklyn will start at noon ET/9 a.m. PT. We will not know for sure until Deontay Wilder and members of his team will hold an official press conference today, but there is a great deal of talk on the net that the reigning WBC heavyweight champ has rejected the reported $100 million offer from DAZN; a deal that would have brought a fight between Wilder and Anthony Joshua that much closer. According to Chris Mannix of Sports Illustrated, Wilder, once again showing he is not a man to be swayed by large money offers, has rejected the offer. The word now, from writer Mike Coppinger, is that Wilder is set to sign a new multi-fight contract. But with whom? It won’t be with DAZN, we know that. It won’t be with ESPN, we know that. The thinking now is that Wilder will stick with Showtime/PBC/AL Haymon, and sign a big deal with them. Again, we won’t know for sure until Tuesday. But if Wilder really has said no to $100 million and is indeed set to stick with Showtime, will the upcoming fight Wilder will have, against WBC mandatory Dominic Breazeale, go out on regular Showtime, or on Showtime pay-per-view? It is feared it will be the latter. If so, will the fight flop or be a hit? Just where Wilder’s head is at right now is impossible to say but plenty of fans, taking to the various forums, have stated that in their opinion “The Bronze Bomber” has made one massive blunder in turning down the big-money both ESPN and DAZN offered him. Wilder, who said a while ago he is a “free agent” and that he will go where the money is, that he simply has to do so, might shock us all and announce he has signed something EVEN bigger than what ESPN and DAZN had on the table for him. But it seems more likely Wilder, perhaps due to what he sees as a sense of loyalty, will indeed fight on on Showtime. 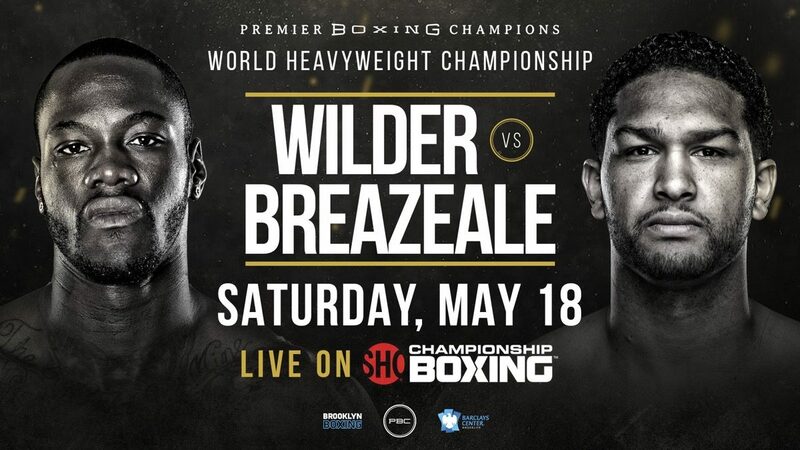 But if, as many fear, it is Wilder Vs. Breazeale on pay-per-view, how many fans will fork out for the fight? Wilder may have further talks with DAZN and other networks/platforms in the future, but for now it seems even the staggering offer of $100 million for three fights was not enough to have him leave Haymon and his group. It does make you wonder: will we EVER see that Wilder/Joshua showdown?